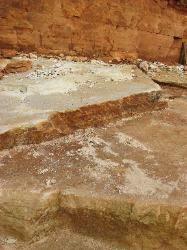 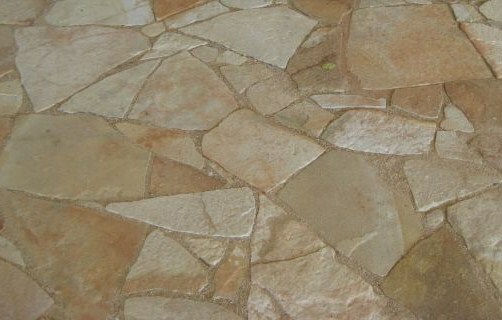 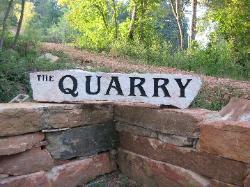 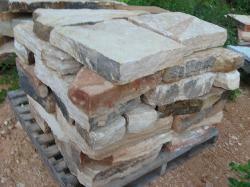 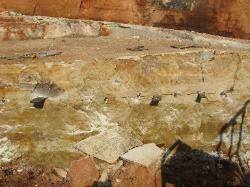 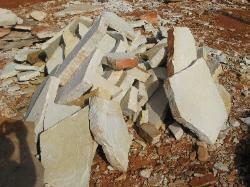 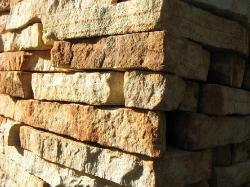 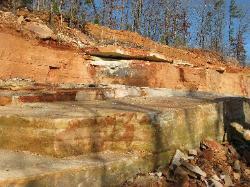 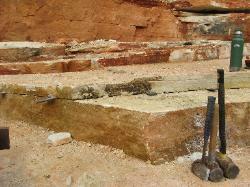 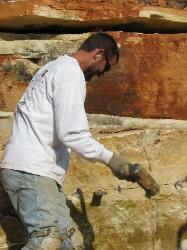 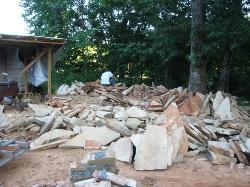 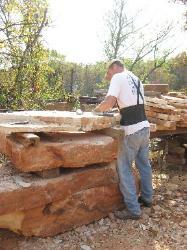 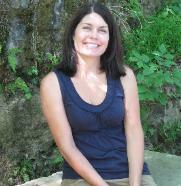 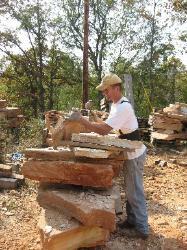 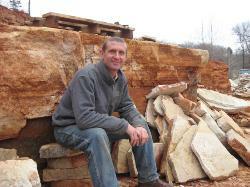 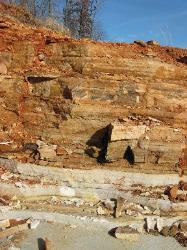 The quarry has horizontal beds of sandstone that vary in thickness and color. 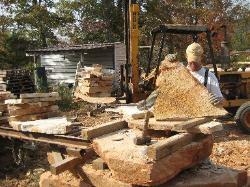 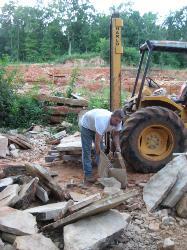 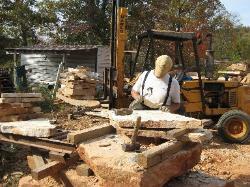 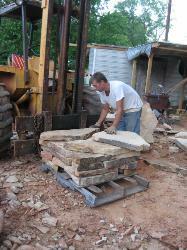 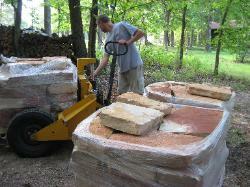 About half of our stone is delivered personally by Finn. 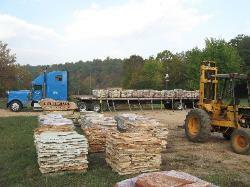 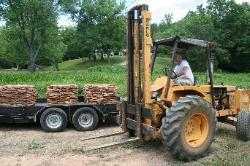 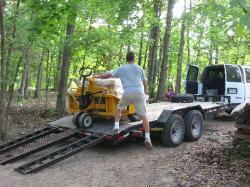 The rest is picked up at the quarry or shipped via tractor-trailer.